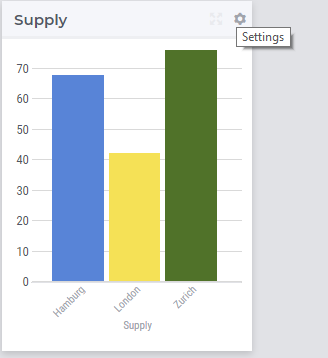 More generally, a bar chart widget offers the possibility to display multi-dimensional data in your model by using an X/Y-plane to display a bar for each data point. The height of a bar provides information about the value of the corresponding data point. 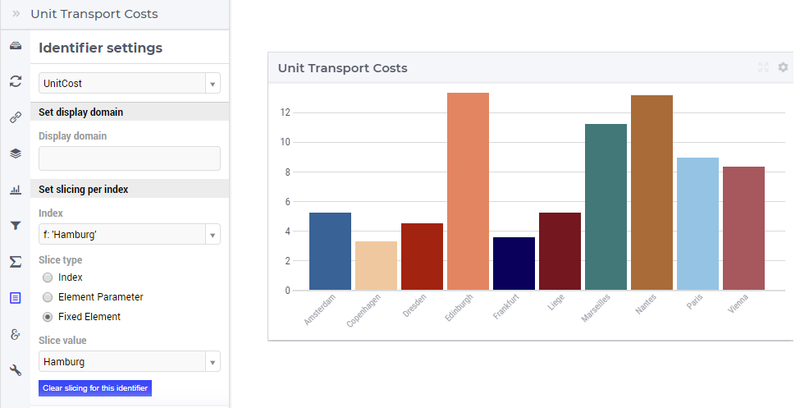 For example, in the TransNet application, the unit transport costs for every combination (factory, center) may be represented using a bar chart widget like illustrated in more details in the sequel. More specifically, we discuss and illustrate below one-by-one the tabs in the bar chart’s options editor which may be accessed through the Settings wheel as shown in the picture above. 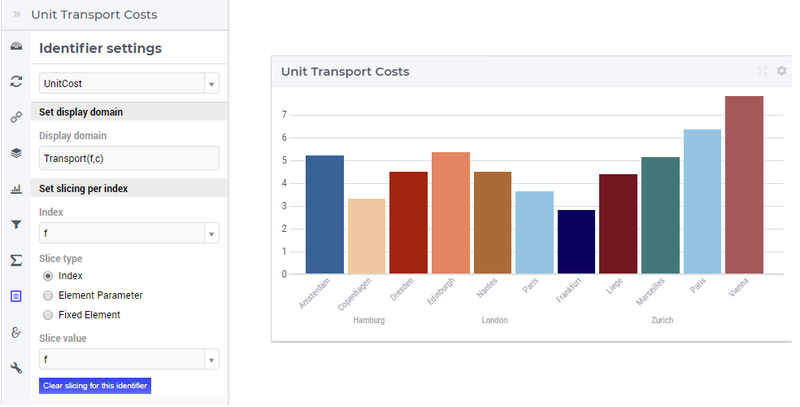 Not accidentally, these filtered values are among the lowest unit transport costs which are preferred when minimizing the overall costs for the entire network. In the Miscellaneous tab of the bar chart’s options editor, other options may be set such as the title of the widget, whether or not the widget is visible (this may be determined by a model parameter) or the number of decimals for the values displayed in the chart.